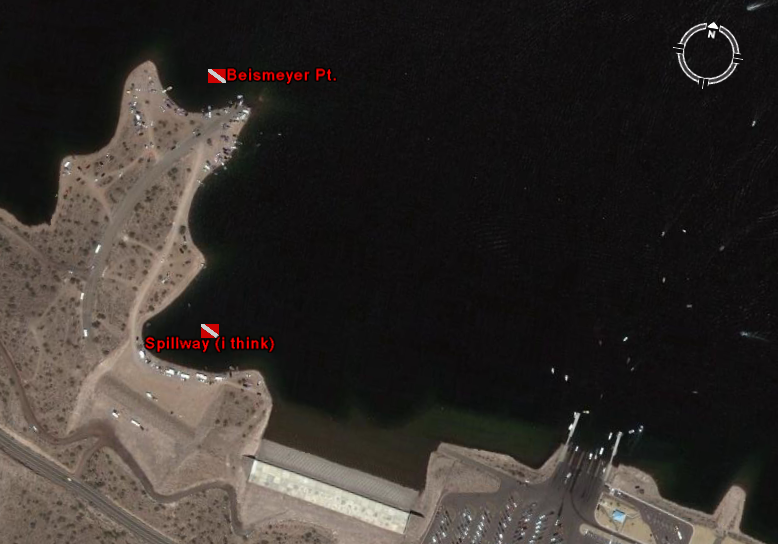 The spillways are just to the west of the 10 lane boat ramp. It’s kind of an unofficial campground for people with travel trailers and RVs because it is cement. There are two, one dirt, one cement.